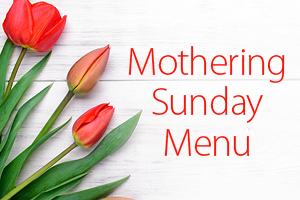 Treat your mum at The Kitchen this Mothering Sunday - we’re serving up a very special Mother’s day roast; with a choice of three meats and all the trimmings, you’ll be spoilt for choice! Our succulent roasts are irresistible and the perfect feast for a special occasion. Join us for a mouthwatering lunch amid beautiful surroundings – our idyllic location offers breathtaking views across Poole Park. 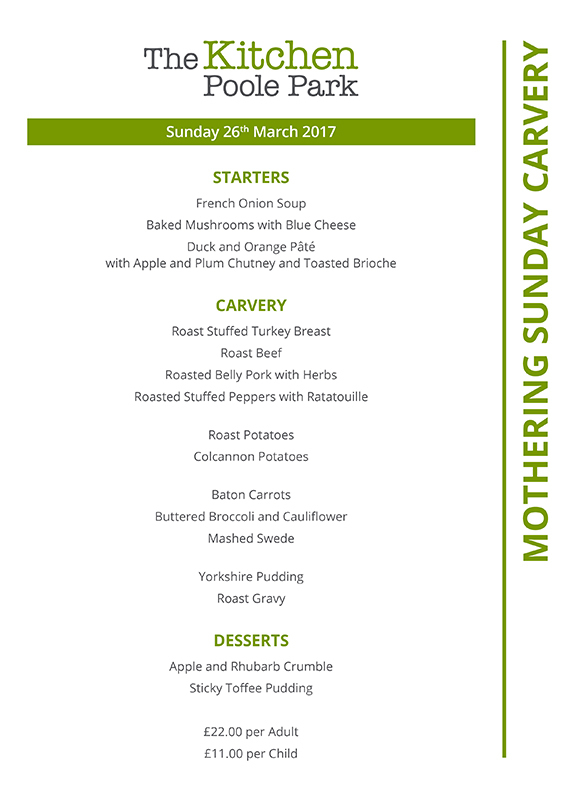 Don’t delay, book now – as tables are limited! To make a reservation, please contact us on 01202 742842. 12pm, 2pm and 4pm sittings available.